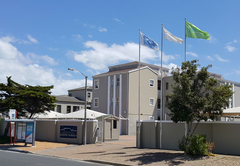 Ocean Shores is a property providing self catering in Bloubergstrand for tourists visiting the Blaauwberg region. 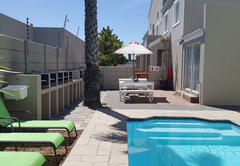 Located just five minutes walk from popular Bloubergstrand beaches, Ocean Shores offers comfortable self-catering accommodation in a variety of holiday apartments (sleeping from 2 to 8 guests each), to those wanting to explore Cape Town and surrounds. 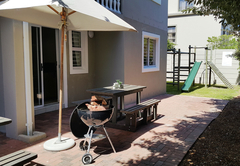 Perfect for small families, this self-catering, one bedroom abode with double bed and TV, modern furnishings with a sleeper couch available in the lounge. 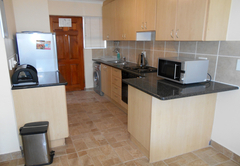 Bathroom with stand-in shower, toilet and basin along with patio with braai facilities. 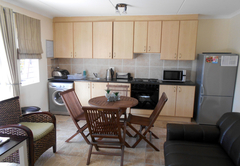 Amenities include hairdryer, free standing heater and fan, Iron and Ironing board. Safes are included in all units and bathing towels are provided, not swimming towels. 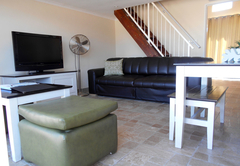 Perfect for small families, this self-catering, one bedroom apartment with loft area includes double bed in main bedroom, two single beds in the upstairs loft area and sleeper couch in the lounge. 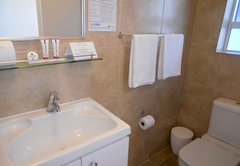 En- suite bathroom only, with stand-in shower, toilet and basin. 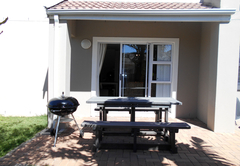 This unit has a balcony, braai facilities only at the communal braai area. 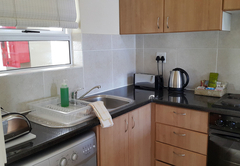 Amenities include hairdryers, free standing heater and fan, Iron and Ironing board. 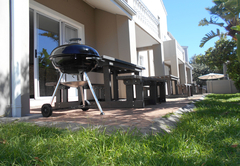 Safes are included in all units and bathing towels are provide, not swimming towels. 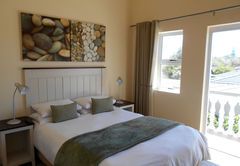 Perfect for small families this self-catering, two bedroom apartment includes double bed in main bedroom, two single beds in the secondary bedroom and sleeper couch in the lounge. 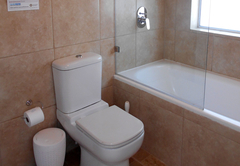 Single bathroom with stand-in shower, toilet and basin. 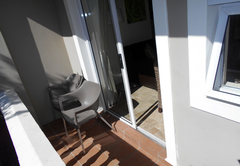 Patio for ground floor units and six seater table. 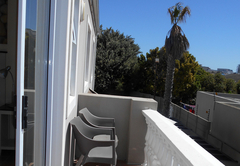 Balconies in first and second floor units and braai facilities available in communal braai area. 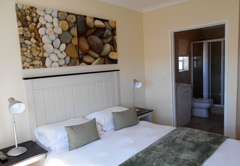 Amenities include hairdryer, free standing heater and fan, Iron and Ironing board. 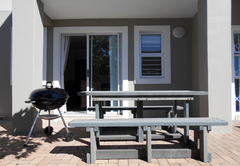 Safes are included in all units and bathing towels are provided, not swimming towels. 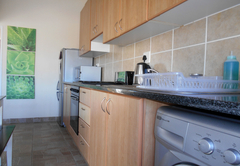 Perfect for large families this self-catering, three bedroom apartment includes double bed in the main bedroom with en suite stand in shower. 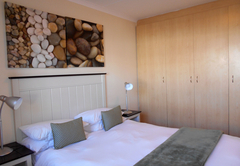 Double bed in second bedroom and third bedroom with twin single beds. 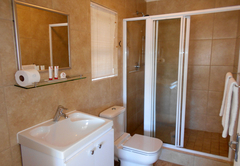 Main Bathroom with shower over bath, toilet and basin. 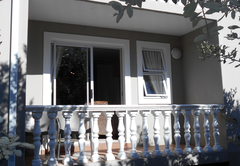 Bedrooms and bathrooms are situated upstairs with the kitchen, lounge and dining areas situated downstairs. 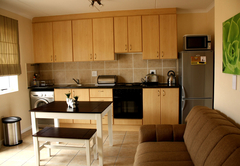 Amenities include hairdryer, free standing heater and fan, Iron and Ironing board. Safes are included in all units and bathing towels are provided, not swimming towels. 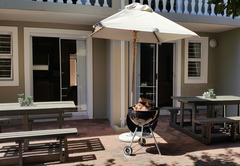 The resort has a swimming pool and a communal braai area. 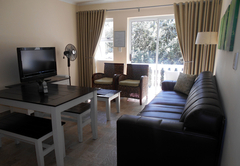 There is a also a games room with pool, darts and video games. Wi-Fi and secure parking are provided. 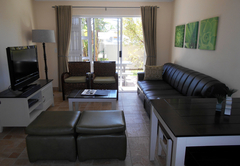 Ocean Shore’s one bedroom apartments are one bedroom, one bathroom units with a double bed. There is also a sleeper couch in the lounge, which is suitable for children under the age of 12. The Loft Apartment is a one bedroom, one bathroom unit. 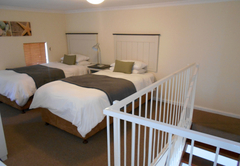 The bedroom is furnished with a double bed and there are twin beds in the loft. There is also a sleeper couch in the lounge, which is suitable for children under the age of 12. These apartments have two bedrooms and one bathroom. 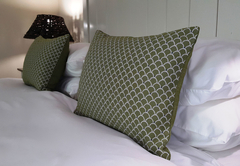 The main bedroom is furnished with a double bed and there are twin beds in the second bedroom as well as a sleeper couch in the lounge. These apartments have three bedrooms and two bathrooms. 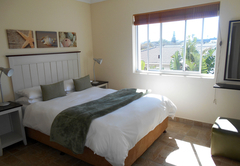 Two of the rooms are furnished with Queen-size bed and there are twin beds in the third bedroom. Children under the age of 12 can be accommodated on the sleeper couch.